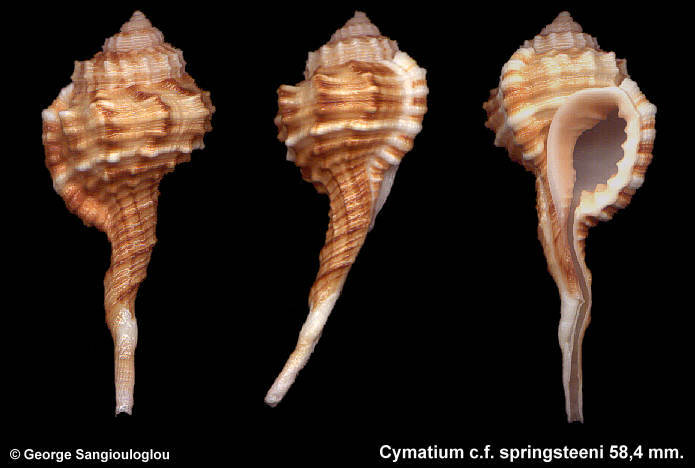 Cymatium c.f. springsteeni 58,4 mm. Very attractive, cream and brown color with pink aperture.